Shock. 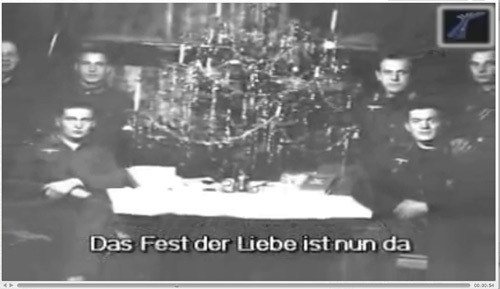 A Nazi White Christmas. Complete with Hitler. And lovely voices singing about peace on earth. On Youtube. Shock. 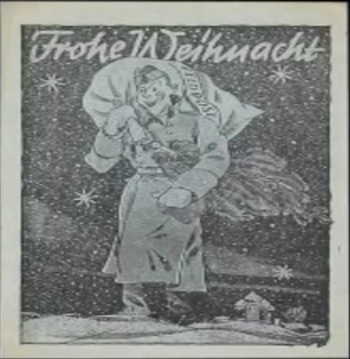 A Nazi White Christmas. Complete with Hitler. And lovely voices singing about peace on earth. Something shocked me, and made me do a lot more thinking about Nazis and Nazism. It's something I came across accidentally online. I had to look twice to believe what I was seeing. I was so stunned I didn't even mention it to anyone for a week. As I said, I had to look twice to believe what I was seeing. 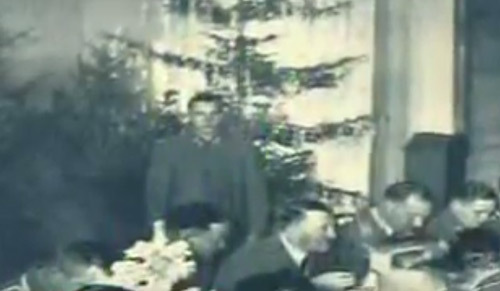 Hitler celebrating Christmas. Then I clicked off the video. It took me a week to come back to the video. In fact, a week later I went looking for it. It was easy to find. Once again, it came on automatically after Nana and her sweet sing-along. This time I made myself watch closely, quietly. And listen. 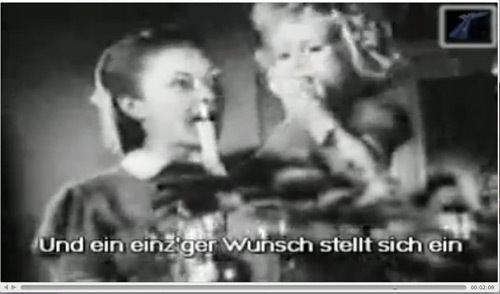 Lovely images of German mothers, little German children. May there be peace on earth forever. 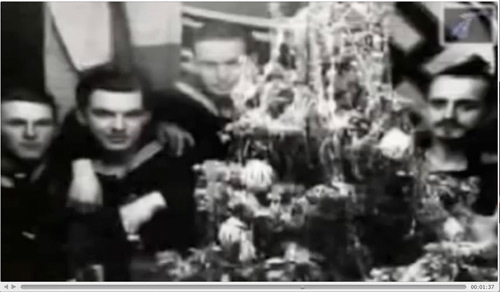 All that existed - people, not some strange monsters, celebrating Christmas. And I could feel the humanity of the young soldiers, Nazi soldiers, who went to war - like my 2 oldest uncles, 18, 19, both killed on the Russian front when my father was a boy. The celebration of love is now here. But, as I've said, I was stopped cold at the photos of Hitler. 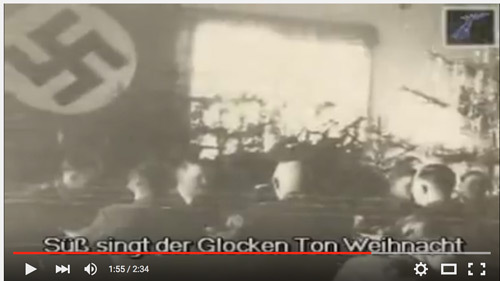 And I was stunned that this video played automatically. What was going on here? One good thing. Most of us - including myself - are at pains to make the distinction between Muslims and Islam. Muslims are people - lots of different attitudes and viewpoints - while Islam is an ideology. The video got me to recognize, on a gut level, how differently I have been trained to respond to Nazis and Nazism, than to Muslims and Islam. 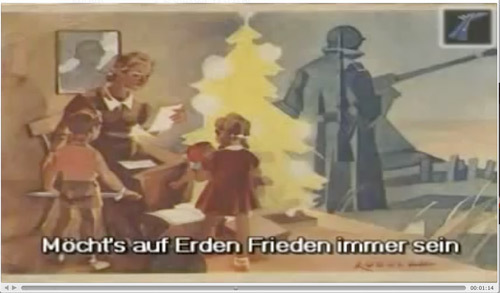 So, one thing positive, for me, about the images of German citizens celebrating Christmas during World War II is that the people were not demonized. 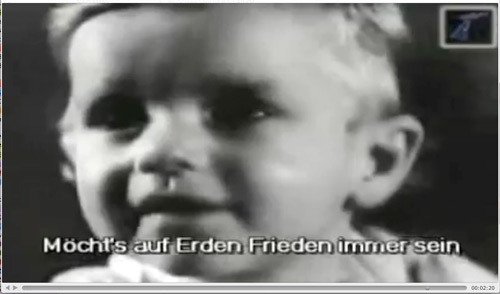 But one thing horrific for me were the images of Hitler. That crossed my inner line so much that I did what I tend to do when something is too much. I pushed the video out of my mind for a few days. I "numbed out." But now I've done what I generally do next: I've thought about it more, and I'm writing to you about it. I wonder: how many people, like me, react with shock when they see the video? How many don't think about it at all? 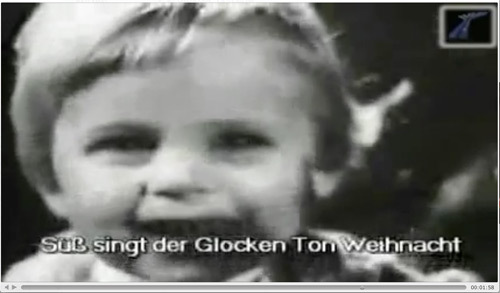 And how many are glad of the positive images of Hitler? By the way, I had another experience of the way that Islam is let off the hook when I recently attended a presentation on the rise of anti-Semitism in Europe. The presenter had many statistics - including that 91% of Muslims surveyed in (I think) Morocco were anti-Semitic. However, even when repeatedly pressed, he refused to make any link between the rise of anti-Semitism, the growing Islamic presence in Europe, and the anti-Semitism inherent in the Quran. Instead there were dismissive comments: basically, the Quran was deemed irrelevant. It was as if I were faced with someone truly closed to considering that there could be a connection between lung cancer and smoking. PS. Strange what shocks us. I don't watch videos of beheadings. But I've heard of them so often that I'm not shocked that they exist and that millions have watched. 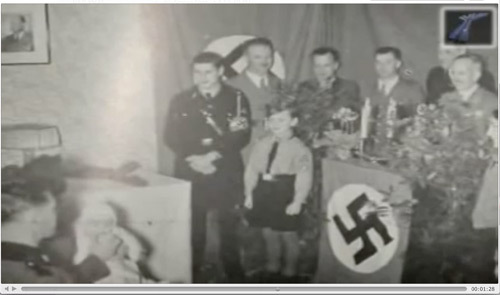 On the other hand, Nazis not demonized!! That shocks me!! PPPPS. 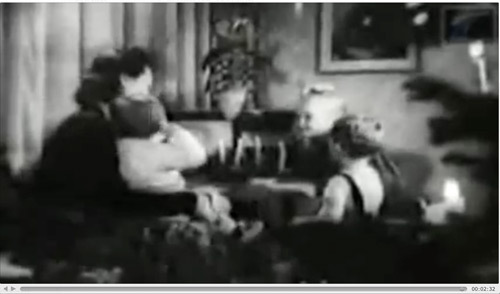 More images from the video. Shock. 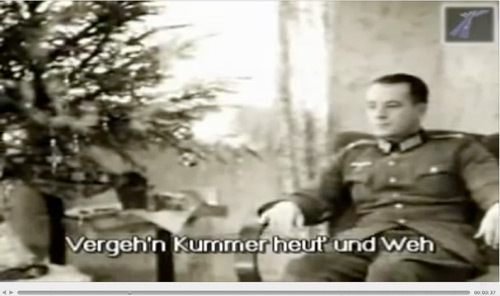 A Nazi White Christmas.